ROOF EXPERT AC, the new roof coating system from Helios, is used for coating of flat and slightly inclined roofs. Thanks to its water-resistant membrane, the coating protects the surface against the penetration of water, it is easy to use and environmentally friendly. 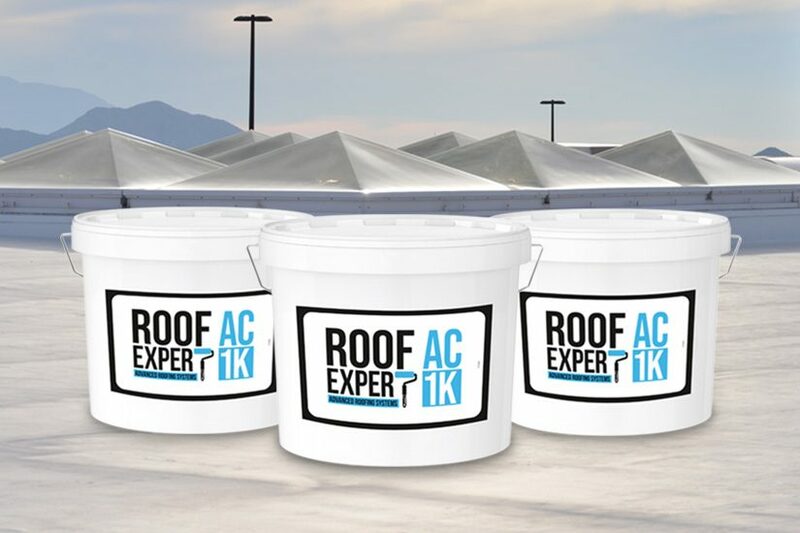 ROOF EXPERT AC is a one-component, acrylic based elastic coating for flat roofs. As it is highly sunlight-reflective, it prevents the formation of thermal islands. It is distinguished by its high level of flexibility at very low temperatures (to – 20°C) and its extreme resistance to UV aging. The application of ROOF EXPERT AC is easy and joint-free as the coating is liquid and can easily be applied with a roller, brush or by spraying, and forms an extremely resistant walkable surface. ROOF EXPERT AC is an environmentally friendly product, as it does not contain APEO, ammonia or formaldehyde, it has a low VOC content and is odorless. It is suitable for new roofs or for the refurbishment of old bitumen roofs. It allows an application time frame of 35 minutes, is resistant to rain after 90 minutes and walkable in only 3 to 4 hours. The coating is suitable for roofs with many chimneys, ventilation outlets and dilatations, and is a perfect solution for bridging joints of various surfaces. It provides adhesion to all types of surfaces, e.g. concrete, iron, wood, existing bitumen. ROOF EXPERT AC is available in white, grey, brown, green, and oxide red. An existing product that already complements the line is the ROOF EXPERT M anti-corrosion primer, which is used in combination with the ROOF EXPERT AC coating for the protection of metal roofs. The next step is to launch PU flexible coatings for roofs in the beginning of 2019.